New Script… ElitePalaces Youtube Playlist! 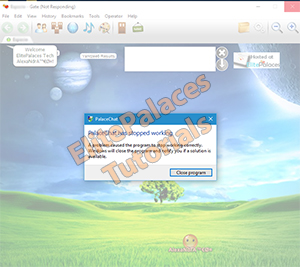 We are happy to announce a new free public exclusive script for all our ElitePalaces customers (Thanks to Hakunita+ for share it with Us! 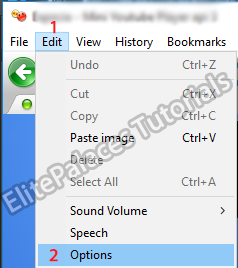 ), with this script all people in your palace can search for YouTube videos and add them to them own playlists, so the users can have them favorite videos ready to play whenever they want. At the main screen, the users can search at youtube, when the results shows, they can click the “add to playlist” small icon to have it added, if they click the playlist icon at the top bar, they can see all the videos they have saved and order them or delete the ones they do not want anymore! As always, you can check how it works visiting the ElitePalaces ShowRoom Palace and request it by email to support@elitepalaces.com. 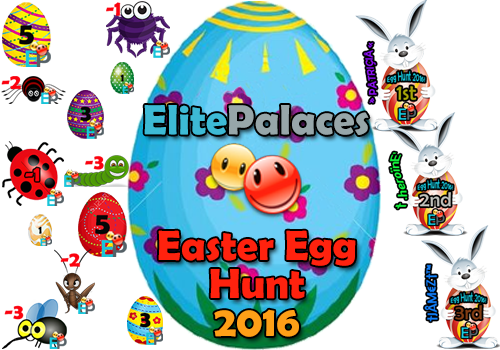 ElitePalaces Easter Eggs Hunt 2016 Winners! 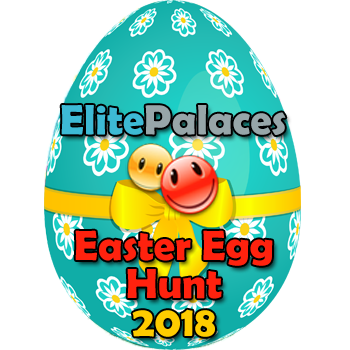 Our 1st ElitePalaces Easter Eggs Hunt event was really great, thanks to all the friends, clients and users that participate on it, and we have winners!! 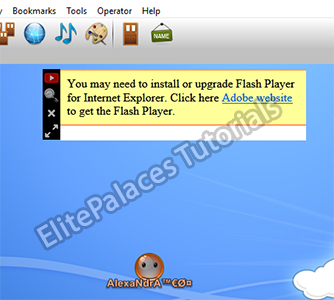 Flash embed is working again! Finally Microsoft fixed the bug and all is working ok now, you only need to run the windows update and restart your computer. 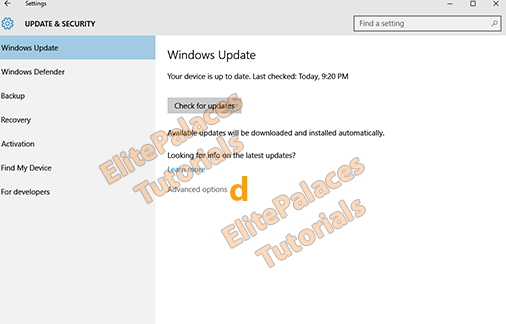 How to remove the Microsoft update that affects PalaceChat flash embed scripts? 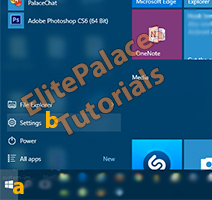 UPDATE Jan 3rd 2016: Microsoft and Adobe are working together trying to find a fix for this issue. 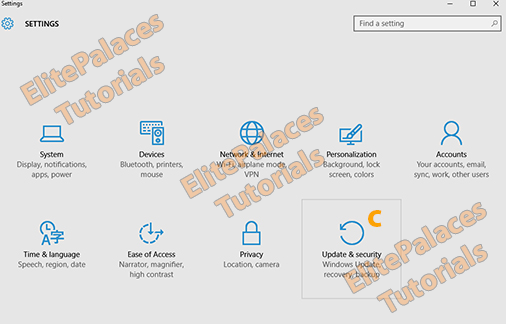 That is affecting a lot of programs not only palacechat, for more info about it you can check this Microsoft Board Post? and we will announce here when is safe to reinstall the upgrade. 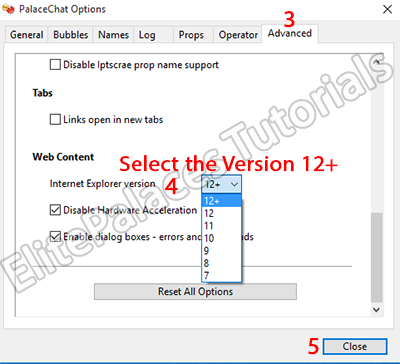 For now, if your PalaceChat software freezes when someone plays a song, a movie or playing games, please follow this steps. 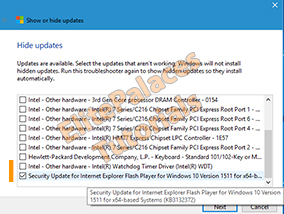 f) Click Uninstall Updates g) Order your results per date, find the “Security Update for Internet Explorer Flash Player for Windows 10 Version 1511 for x64-based Systems (KB3132372)”, right click on it and click Uninstall. h) Reboot your computer if needed. 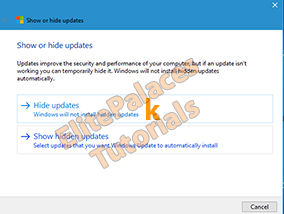 i) Download the Microsoft tool “Show or Hide Updates” clicking HERE. 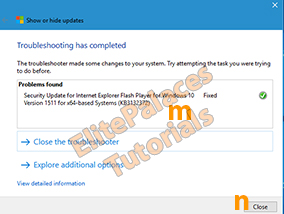 l) The program will check the available updates for your system, when done it will show a list where you need to find the “Security Update for Internet Explorer Flash Player for Windows 10 Version 1511 for x64-based Systems (KB3132372)” and put a checkmark on it, then click next. 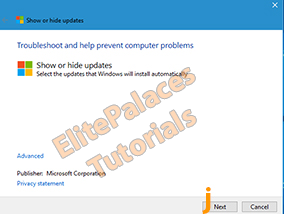 n) Click close and test PalaceChat again, all should work good now! We are happy to share this information with all our clients, have you all a great new year and stay tuned, we have some great things to share with you all this new year 2016! 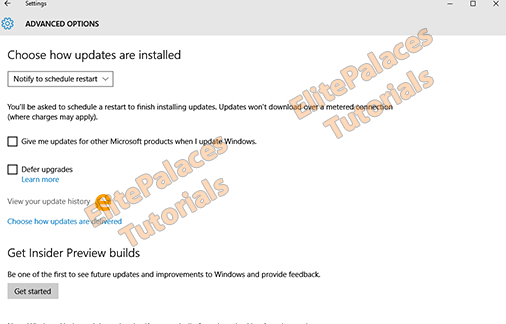 We have a new version of PalaceChat and now the players should work correct after your update, if you have updated your palacechat with windows 10 and you are still having issues with the players, please follow these steps. 3- Click the last tab (Advanced). 6- Restart PlaceChat software and the players should work! 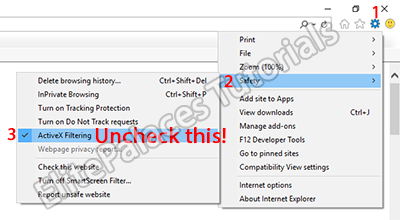 1- Open IE11 and click the options icon. 3- Unckeck the “ActiveX filtering” option. Go to palacechat and test it, all should work ok now! 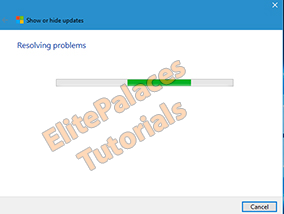 If you had followed these steps and you are still having issues with the embed scripts, please contact ElitePalaces support.